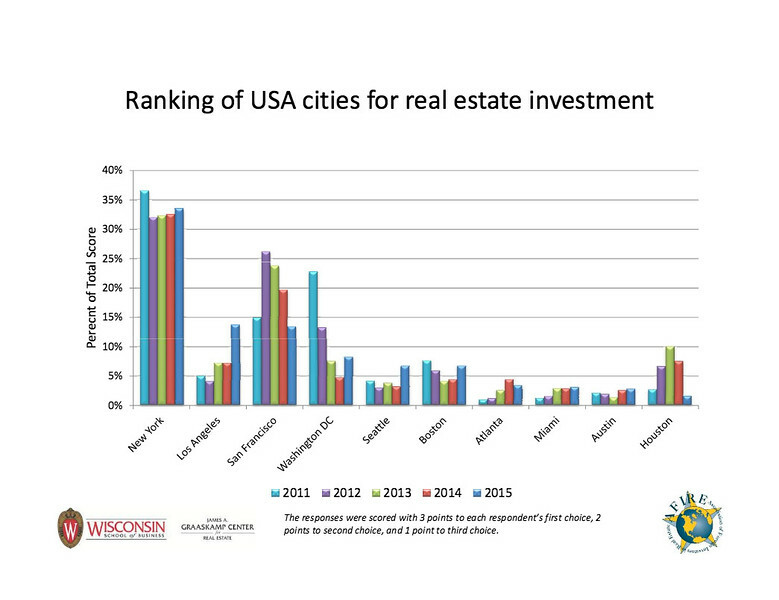 In 2016, foreign real estate investors plan continued US investment. New York, Los Angeles, San Francisco, Washington DC, Seattle, and Boston are top targets for foreign real estate investors. Despite moderate concerns about the impact of higher interest rates, 64% of respondents to the 24th annual survey taken among the members of the Association of Foreign Investors in Real Estate (AFIRE) say they expect to have modest or major increases in their investment in U.S. real estate in 2016. Another 31% say they expect to maintain or reinvest their investments. No one plans a major decrease. The survey, conducted by the James A. Graaskamp Center for Real Estate, Wisconsin School of Business, indicated that for the second consecutive year, New York outranked London as the top global city for foreign real estate investment. AFIRE members are among the largest international institutional real estate investors in the world and have an estimated $2 trillion or more in global real estate assets under management. Sixty percent of respondents said the US was the country providing the most stable and secure real estate investments. 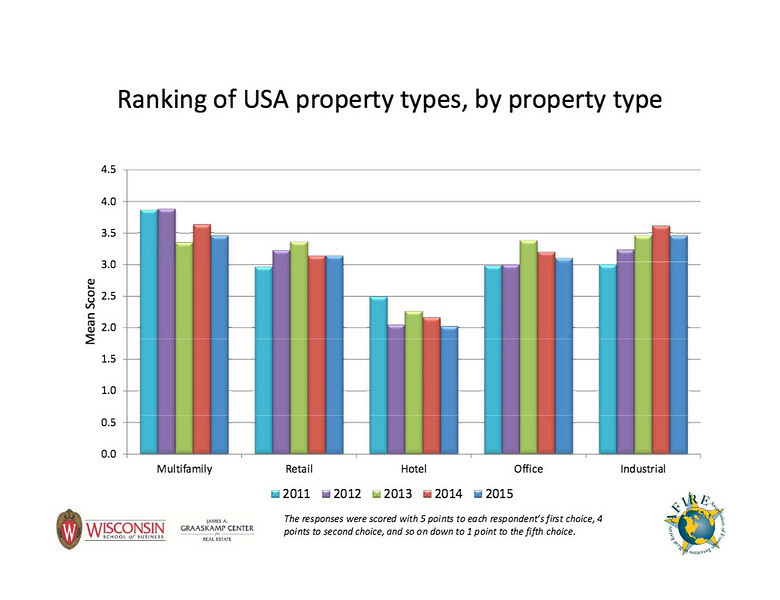 Multifamily and Industrial tied for first place as the preferred property types for expected foreign investment in the U.S. Retail moved from fourth place last year to third this year; office moved from third to fourth; hotels remained in fifth. Fetgatter is referring to the Protecting Americans from Tax Hikes Act of 2015 (PATH), signed into law December 18, 2015. PATH is the first major reform of the Foreign Investment in Real Property Tax Act of 1980 (FIRPTA). FIRPTA reform provisions in the PATH Act seek to reduce some of the taxation barriers to foreign investment, hoping to spur foreign capital investment in U.S. real estate. Some estimates suggest that the FIRPTA reforms in the PATH Act will generate an additional $20 billion to $30 billion in investment in U.S. commercial real estate next year.